Raphael joined Build Africa in March 2016. 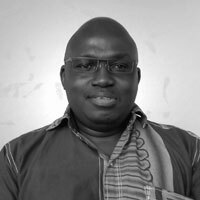 He has nine years' teaching experience of both the Kenyan and British curriculum, and joined community and humanitarian work in 2006 - having worked in South Sudan for BearingPoint Management Consultants and Deloitte Consulting LLP between 2006 and 2012. He later worked for Windle Trust Kenya as an Education Coordinator in Dadaab Refugee Camp, and as Progamme Manager at Kakuma Refugee Camp between 2013 and early 2016, managing and delivering education projects to refugees and surrounding host communities.